BT Freestyle 750 DECT with Answering machine has a 50 name and number directory. Large backlit LCD, nine number speed dialling, five number redial and a volume control. There is a call light indicator with large buttons for easy use and 300m outdoor, 50m indoor range. It also has ten hour talk time and 100 hours standby. Large chunky buttons and DECT technology make the BT Freestyle 750 cordless telephone both high in quality and easy to use. Very similar to the BT Freestyle 710 cordless telephone the BT Freestyle 750 also has a built in digital answering machine. 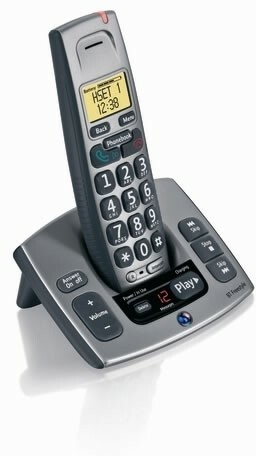 As it is DECT the BT Freestyle 750 has a digital signal between the cordless handset and its base station, much better than previous analogue technology.